The authors identify two areas of brain structure that appear to be correlated with self-reported political orientations, implying a biological element to political affiliation. They avoid answering the big sticky question of whether these brain structures are caused by environment or are inherited, thereby raising a host of questions and implications. If political orientation is more or less 'hard-wired,' there are profound implications for the future of civic discourse and approaches to governance. If political orientation is learned behavior that changes brain structure, there are serious implications to political discourse, campaigns and the media, as well as public and civic education. In either case, a biological component in political affiliation calls out for a review and reform of current civil discourse, at the very least, reflecting the current findings that politics are more an expression of unconscious brain structure and functioning, rather than the objective reflections of the reasonable, well-considered choices of rational agents. Historically, democratic Western culture has assumed that we are rational beings, capable of making choices of goals and values freely. Therefore, much emphasis is currently focused on the media as the delivery apparatus of partisan political messages and worldviews. Elections are assumed to be the (more or less) accurate reflection of the free will of a reasonable sovereign people. Currently, American politics are highly divided between Conservatives, primarily represented by the Republican Party and the Tea Party, and Liberals, widely represented by the Democratic Party. Both sides have deeply held values and priorities that often conflict, commonly visible in pitched political battles over things like budgets, entitlements and women's reproductive rights. In equally broad generalizations, Liberals tend to favor rights, entitlements and a strong social net, as well as stronger government regulations on businesses to protect the public, requiring a large centralized government to accomplish these many tasks. Liberals tend to be better educated (Pew Research Center, 2005) and live in urban centers. Liberals self-report to being 20% of the population in the above-mentioned Gallup/USA Today poll. Our government is often stalemated by divisive "hot button" issues, such as labor rights, abortion, gay rights and entitlements; with Conservatives and Liberals polarizing along party lines. Compromise is increasingly seen as surrender, making the political differences between Liberals and Conservatives seem unresolvable. This trend appears to have become more intense since the 2010 elections brought in a number of candidates backed by the very Conservative Tea Party movement. If these differences are biologically mediated, there are profound implications for the nature of our democracy, the philosophical foundations of our political institutions and policies and the future of political discourse. Perhaps even ramifications for the future of our species. This division of political affiliations harkens back to the very roots of the Social Compact and the rise of democracy. Ever since there have been democracies, the question of the correct role of the government has been debated, as Plato so thoroughly explored in the Republic so long ago. So the question of whether America should have a strong centralized government founded on reciprocity, or a small efficient government that leaves individuals the freedom to explore and create is not unexpected. Indeed, the debate dates back to the founding of the United States. The real sticky question here is what does it mean for democracy as a form of government if the voters are actually acting out biologically determined genetic programming, rather than making free and rational choices based on due consideration of the issues? Conservatives have a larger part of their brain devoted to processing fear, according to this study. Liberals have a larger part of their brain devoted to processing complexity (conflicts and uncertainty). The brain structures involved are quite interesting to investigate. The amygdala is currently one of the most intriguing regions of the brain to researchers, with a great deal of research focused on this region. It is an almond-shaped structure in the medial temporal lobe of the brain. It is associated with the olfactory system, as well as the neo-cortex. The amygdala "has a wide range of connections with other brain regions, allowing it to participate in a wide variety of behavioral functions... especially fear, processing rewards and the use of rewards to motivate and reinforce behavior, especially in learning." (Scholarpedia) The amygdala is also associated with "aggressive, maternal, sexual and ingestive (eating and drinking) behaviors." It is also active in emotional memory (conscious and unconscious), the regulation or "modulation of a variety of cognitive, such as attention, perception and explicit memory." (Scholarpedia) Explains a lot about Conservatives, doesn't it? The Anterior Cingulated Cortex (ACC) also participates in a wide variety of functions, but in the case of the ACC, the emphasis is both cognition and emotion, as in the accomplishment of difficult tasks that require fixed attention. (Bush, Luu and Posner, 2000) The ACC is said to perform an "executive function", in that the ACC is useful in self-control in novel situations. The ACC is increasingly activated by "tasks that involve high levels of mental effort," as contrasted to more automated task. The ACC is strongly associated with "processing conflict or competition. These tie together the idea of conflict and error monitoring." (Bush et al, 2000) Again, this description of the activated brain structures in Liberals goes a long way towards explaining their motivations and thinking. Simple observation of Liberals and Conservatives in light of these brain structures and their functions seems to support the claims of Kanai et al, that Liberals process complexity well and Conservatives tend towards greater emotionality and fear. But this seems to carry very strong political and sociological implications. Does this mean that the Conservative inclination towards increasing security is founded in a greater biological capacity to imagine the most horrific worst-case scenario? Does the Liberal desire for ever greater inclusiveness and fairness actually stem from a greater cortical capacity to tolerate uncertainty and complexity? If this is the case, as this study would indicate, is our democracy doomed to cyclic gridlock determined by blind genetic drives? This proposal does appear to be bourne out by the history of the American political system, and the best predictor of future behavior is past behavior. However, this is the first time in the history of our civilization, when we have become scientifically and statistically aware of how our own biological functioning may impact our political and value choices. According to recent research, the age-old Nature vs. Nurture argument has finally been settled: the influence on development is pretty much evenly split 50/50 between genetic influences and environmental influences. (Pinker, 2002) Kanai et al. introduce a decidedly political twist to the issue. The question then arises, under which causal category do these two affected parts of the brain fall? In other words, for the two affected brain structures, is it nature or nurture that determines how a young brain develops? This is a question fraught with political peril. Although Kanai et al. avoid answering this most difficult of sticky questions, other current research does give us some insight into brain structure causality. Steven Pinker informs us that, while learning may produce changes in the brain, learning does not change brain structure. (Pinker, 2002) Other recent brain structure studies indicate that the distribution of grey matter in the brain is highly heritable. (Thompson et al, 2001) Both the ACC and the amygdala are composed of grey matter, implying that the relative sizes of these structures are genetically determined, and therefore that political affiliation is largely an expression of neural biology, rather than any consciously considered deliberation of issues and candidates. Sticky indeed. If political orientation is biologically determined, then politics melds into biological history. And most of our high-minded claims about rights, security and agency are not reliably objective or rational, despite their claims to the contrary. Many other pertinent questions are aroused by the mere suggestion of a genetically-driven development of politics. A biologically derived model for politics would imply that there are two distinct dominant biological configurations that express through the political affiliation with either Conservatism or Liberalism. Essentially, this study implies that there are two politically dominant strains of humans in America. These strains struggle for dominance and control of the government, following the biological imperatives built into their brain structures. According to the implications of a neurologically grounded politics, at the current time, the strain of humanity that processes fear and emotions most efficiently is seeking to gain political ascendancy, using arguments about the budget and job creation versus the record deficits and large government of their opposition, even though the Conservative track record on handling such responsibilities as balanced budgets and creating jobs has not been effective. Although the popular media and pundits would have us believe that political choices are made through consideration of issues and policies, statistics do not bear this claim out. According to the University of Massachusetts political science professor and Senior Fellow at the Roosevelt Institute, Thomas Ferguson, statistically, Conservatives and Liberals have been self-identifying at near the same rates for nearly four decades. So, despite the heated rhetoric of pundits and the perceptions promulgated by cable political analysts, there has not been a widespread change in political affiliation in the last forty years. This would seem to support the contention that political affiliation goes deeper and is driven by more than just fleeting political issues and contingencies. However, there is other research that challenges a static political field, as the makeup of the American population is changing. According to fertility trends, the birthrate among Liberals is dropping, while the birthrate amongst Conservatives is on the rise (NPR Broadcast, March 2006). Conservatives tend towards more traditional values, such as early marriage and large families, whereas Liberals tend to postpone marriage and children, opting for pursuing careers and smaller families. This prompts another sticky question: is Conservatism is more adaptive or regressive than Liberalism? An argument can be made for both sides. The rising birthrate of Conservatives would seem to indicate greater adaptability and fitness, in an evolutionary sense. But Liberals display greater complexity, which is a hallmark of evolution. Which interpretation is appropriate is unclear, perhaps this is why Kanai et al. stayed mute on the matter. However, according to some theories of biology, such as in cases of adaptionism, there are "some factors that can prevent natural selection from presenting the fittest gene." (Sober, YEAR????) There are some circumstances in nature in which the fittest do not necessarily survive and thrive. So, is an increasing number of Conservatives indicative of evolution or, conversely, is it evidence of a species in evolutionary decline? This would be a very interesting line of future research, with far-reaching ramifications. A frightening scenario inspired by the idea of biologically-determined political orientations precipitates nightmares of an Orwellian science fiction plot, where unlucky victims are dragged by jack-booted troopers into MRIs, to determine their true political affiliations, in the throes of genetic-political genocide. This would seem to fit into the same category of ethics as genetic testing by insurance companies to determine risk of coverage, only worse. If political orientation is strongly or even just moderately impacted by biology, then claims of voluntary agency and free elections become impossible to sustain, if not moot. How can one be considered to be truly free to choose a candidate if the choice is likely to be genetically pre-determined? Kant, Rousseau and Locke all based the legitimacy of a government on the consent of the governed, assuming those governed to be rational agents, capable making their own independent choices based on rational self-interest. Yet, this research challenges this claim to the dignity and rationality of humans. Indeed, Lakoff claims that political decisions are often as much as 98% determined by unconscious, neurological processes. (Lakoff, 2008) How can any election ever again be regarded as an objective reflection of the purely rational will of the governed, rather than as a census of the brain structure of actual voters? The role of reason in moral and political agency is called into question, as the study implies that reason is employed by the biological imperative to rationally justify the foregone conclusion determined by brain structure. Millenia of philosophy and theology lose their gravitas, if they are reduced to the products of selfish genes creating their own justification. Kant, Locke and Rousseau's theories on agency and sovereignty would need review in light of this new biological perspective, at the very least. The philosophical foundations of both the Conservative and Liberal political agendas are also called into question, as is the Social Contract in general, if political orientation is strongly or moderately impacted by brain structure. Issues of budgetary priorities, entitlements and national security are now cast in an entirely different light. If Democrats seek a stronger government that fills a multitude of social roles in response to their increased capacity to simultaneously consider two or more opposing ideas at the same time because of a biological drive, then their judgment in those issues can no longer be regarded as anything approaching objective. Similarly, the rationality of Republican willingness to approve tax cuts, as well as any and all military spending at the expense of social entitlements must also be called into question. Indeed, the whole two-party system begins to look somewhat questionable in the light of competing brain structures. To make matters worse, according to Lakoff, common buzzwords used in political discourse often denote different meanings to Conservatives and Liberals, making misunderstanding and misconstrual commonplace in the political area. Politically charged words such as "freedom," "national security," and "health care" carry different implications for Liberals than they do for Conservatives, as mediated through pre-set cognitive meaning frames and habituated neural wirings. (Lakoff, 2008) Therefore, the sphere of public discourse is actually much more complex and contextually determined than has ever been imagined or understood in the public media. What may seem a straightforward issue with clear facts and indications to one side may be totally unclear and frightening to the other side, even though the language is exactly the same. If we are to take the implications of Kanai et al's work seriously, then we can only expect continued political intrigue and gridlock until such time as the Conservative population grows enough to fully overtake the Liberal strain of homo sapiens sapiens – an occasion for optimism for Conservatives and despair for Liberals. However, given the political statistics for the last forty years, this is likely to take a very long time. (Ferguson, 2011) While we can choose to allow the current trends to follow their trajectory, we can also choose a more conscious perspective to the history of social-political development and to government, in the effort to transcend the biologically-driven impulses, towards a more inclusive rationality that acknowledges the differences in brain structure and neurological framing. If winning the political game is the goal, then biologically driven Conservatives need only shepherd their own flocks until they have reached sufficient size to overwhelm the more slow-growing Liberal population. However, given the 5% dip in Liberals over forty years, this is likely to take several generations to accomplish. If winning is the primary goal for Liberals, then genetic Liberals need to institute a breeding program as soon as possible. However, if only winning politically is the goal for either affiliation, then the species loses, and potentially loses big, as the selfish genes of the biological imperative reproduces itself blindly, without considering dwindling resources or the human sacrifices of war. In order for this increased awareness of how biology drives politics to have a favorable impact on both the Conservative and the Liberal strains of homo sapiens sapiens, civic discourse must reflect this broader understanding of human nature, and public education must be included in the effort. This, in turn, constellates a universe of considerations, as questions about curriculum and perspective (read: political orientation) emerge. Who can be trusted to teach (or even discuss) the role of biological determinism without being tainted by their own biologically derived orientation? The concept of Agency, upon which our political and legal system is based, crumbles if our wills are biologically constrained, without the opportunity of transcendence. In such circumstances, we can no longer be said to have truly free elections, and the justification of prosecution and punishment for many crimes are called into question. If a crime was biologically inspired (such as in the case of a brain disorder), what level of responsibility can the perpetrator be held to? Likewise, if a strong political affiliation is biologically inspired (even if it is not medically pathological), what level of responsibility can voters and politicians be held to? If an individual's position on 'hot topic' issue such as abortion or gay marriage is neurologically determined, no amount of scientific or statistical proof will convince. It would seen that the preservation of the philosophical foundations of our social and political institutions would call to us to seek the higher ground of a more inclusive variety of reason if brain structure were a determinate factor in political orientation. (Lakoff, 2008) But not all people are so considerate of the ethical underpinnings of the social contract as to want to risk any serious challenge to the socio-political status quo. Without accepting the opportunity for greater awareness of how our political choices are constrained by biology, we condemn both ourselves and our descendents to unwitting slavery to our brain structures (to whatever degree those structures impact political behavior). We cannot claim to have free will, either politically or morally, without consciously rising above our biological configurations. Again, further research would be very helpful to ascertain the actual degree of impact of brain structure on political behaviors and orientations. Here, I am just exploring possible implications of a moderate to strong impact of biological influence, as that brings out the implications in greater contrast for consideration. The actual degree of biological impact on political orientation was not reported in Kanai et al's study. This is a somewhat bleak and pessimistic view, as it presumes that our government is prey to unconscious forces that we are helpless to control or understand. We are in no position to help ourselves nor trust the offer of help from anyone else. While this may actually be the case, it is not in our best interests as a species to conclude that this condition cannot be transcended. If we do not attempt to rise above our genetic tendencies by bringing the awareness of the role of unconscious brain processes in politics and political discourse, we will be ruled by these narrow construals of biological constraints, and we as a nation are doomed to increasing cycles of political battles and games of "chicken." It can be contended that the study's sampling of ninety young adults is too small. The University of London's study was presumably conducted on students, and therefore, mature adults (who had perhaps changed political affiliation a time or two) were not included in the sampling. A different dataset might be derived from a sampling of older participants, and different implications would no doubt arise. Many questions about how individuals seem to be of a different political affiliation than their parents, or come to change their views through life experiences is not considered in this preliminary study. Lakoff attributes the existence of those who have changed political views and/or affiliations to the malleability of neural bindings, which can be strengthened with repetition and weakened by exclusion. (Lakoff, 2008) Until more research on this subject is conducted, we cannot go much farther than conjecture as to how much of our worldview is made up through biology and how much through socio-cultural programming. Kanai et al. do not seek to establish causation for the development of the brain structures, implying that this is an open question. Yet other current research clearly suggests that the distribution of grey matter is genetically derived. It is unclear why the authors did not include this in their explanation. If there is a constraining circumstance in the ACC and amygdala that determines grey matter differently from the rest of the brain, the authors do not discuss it. Perhaps they were seeking to avoid asking the sticky questions that could risk appearing biased towards one orientation or the other. Both brain science and Philosophy of Mind theories have yet to establish how the brain and mind interact. The relationship of brain structure and thought may not be causal, but merely influential. Again, the degree of impact of brain structure on political orientation still awaits more research. "Political Orientations Are Correlated with Brain Structures in Young Adults" raises some interesting implications for politics and socio-political theory. These considerations of "Hard-Wired" politics are necessarily preliminary. 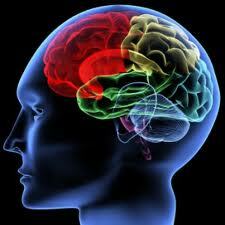 Once more research has been conducted into brain science, the possibilities explored here can be further developed. Until we know more for certain, it is interesting to consider the implications of a moderate to strong impact of brain structure on political behavior, in order to glimpse our potential trajectory. The implications of a biologically driven politics can be frightening to consider, yet we fail to contemplate these sticky questions at our own peril, especially if our political decisions are largely determined by unconscious instinctually driven motives. If unconscious biological drives are impacting our rationality, are we truly able to make wise decisions in our own long and short term best interests as individuals? If it is the case that a moderate to large degree of our political behavior is biologically predictable, we need to examine whether that behavior is actually in the best interests of our nation... indeed, if our political choices are in the best interests for the survival of the human species. It would be an ironic shame if we use up all our resources and sacrificed our young to blindly fulfill an unconscious, biological drive, without ever realizing the possibility of another option that could save the planet. Hirschfield, Bradley. You Don't Have to Be Wrong for Me to Be Right: Finding Faith Without Fanaticism (Harmony Books, 2008; reprint ed., Random House, Inc., 2009), ISBN 9780307382986. Excerpts available at Google Books.